The capability to perform at industry-leading levels across all three groups is one of many reasons why clients select Cannavino Construction for all their construction needs. We have decades of experience and enjoy all aspects of construction. Our professional team is dedicated to your satisfaction by providing quality, attention to detail, timely schedules, interactive communication and staying at or below budget. Your project becomes our top priority and we commit the time and effort necessary to exceed your expectations. With nearly 36 years of experience, Rich is the primary reason Cannavino Construction has so many loyal, returning customers. His construction management draws on a background in multiple trades and disciplines. While presiding over the firm, Rich also plays an active role in every construction project, working closely with clients to make sure all expectations are exceeded. In 2007-2008, at the height of residential construction, Rich won the coveted Illinois Home Builder of the Year award. His work is widely admired by his industry peers and customers, as well as the news media. In 2008, Cannavino Construction took home more than half of the 11 Gold Awards distributed at the famed Cavalcade of Homes. Rich is an active member of his Christian church, past president of the Northern Illinois Home Builders Association (NIHBA) and board member of Naperville Responds For Our Veterans (NRFOV). Jim is responsible for coordinating, planning and supervising other subcontractors, employees or other trade activities on all projects. Thanks to Jim, Cannavino Construction projects move forward like clockwork with all required materials, equipment and inspections meticulously managed. With 20 years of construction experience, Jim is adept at proactively resolving common construction challenges before they ever become issues. Prior to joining Cannavino Construction, Jim spent seven years as one of the top superintendent-project managers at another contractor. He also has 11 years of carpentry foreman experience. 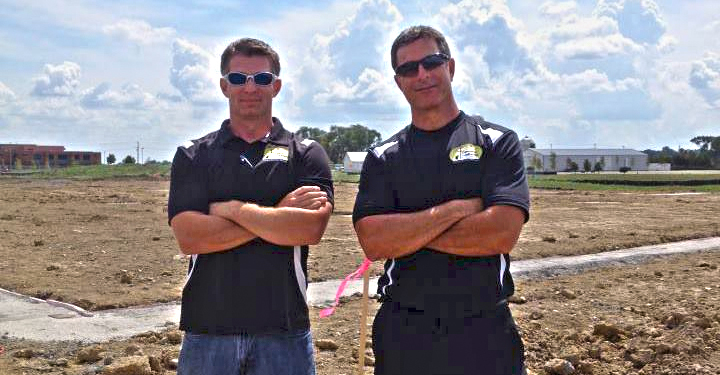 Our construction service area includes Plainfield, Oswego, Naperville, Aurora, Yorkville, Plano, Bolingbrook, Romeoville, Sugar Grove, Montgomery, North Aurora, Batavia, Geneva, St. Charles, Joliet, Downers Grove, Lisle, Lockport, Woodridge, Wheaton, Warrenville, Winfield, etc.